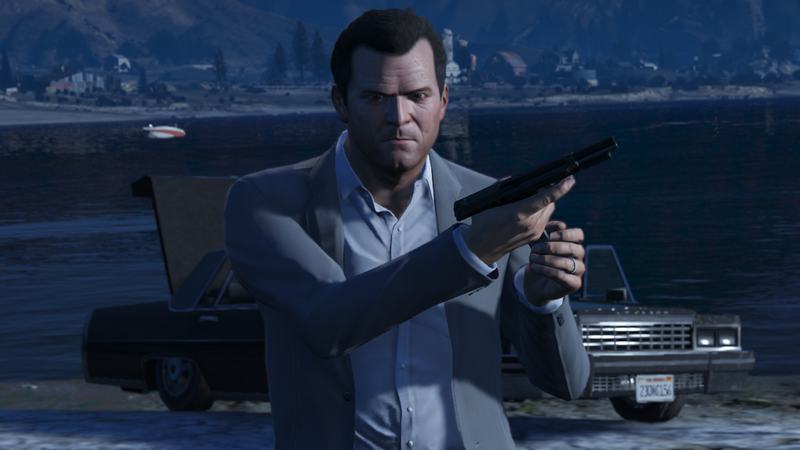 The next photo contest by Rockstar Games is under way! This time they want to see your best shots of your tricked out ride - either cars or motorcycles. From now through the end of day Friday, January 31st, take your most glorious shot of your favorite car or bike and tag it #LSCarShow on Snapmatic. Rockstar will be looking for artful photography that truly shows off the beauty of the vehicle as well as for inspiring car or bike shots with a great overall vibe, composition and atmosphere. 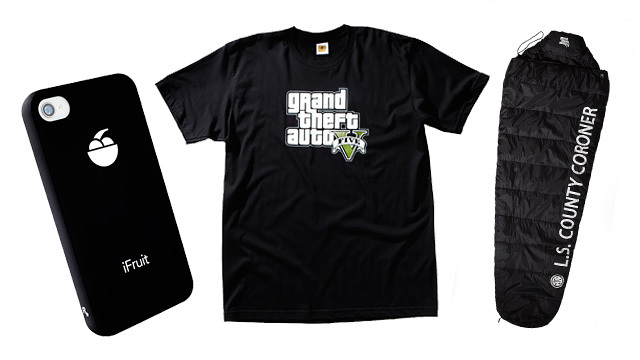 To enter, Social Club members can upload photos from the in-game iFruit phone to the Snapmatic page. When logged in there, you can go to "My Photos" to find your photo and add the hashtag #LSCarShow to automatically have it considered for entry. Rockstar would like to remind all hopefuls to make sure your contact email information is up to date in your Social Club account settings and also encourage you to link your Facebook and/or Twitter accounts to your Social Club profile so that they can easily contact you to send prizes should your picture be chosen. Official rules here. Have fun and join us in the forums! 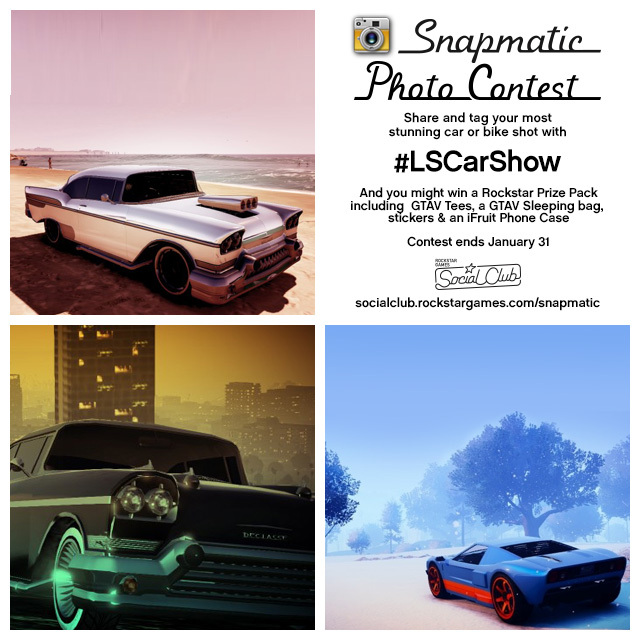 Rockstar Snapmatic Photo Contest: #LSCarShow - Get your in-game camera ready for Rockstar's second Snapmatic Photo Contest. The theme is #LSCarShow.